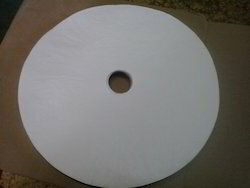 We are a premier manufacturer, supplier and exporter of Filter pads. We offer a qualitative range of Filter Pads, which are being extensively used in breweries distilleries, wineries, Chemical, pharmaceutical companies and transformer oil filtration. These pads are known for their non-toxic composition and non- reactive to chemicals. These have adequate absorbency and filtration capacity. These filter pads are provided by us in various sizes and specifications to meet the diverse requirements. 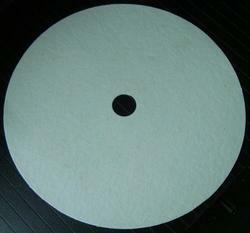 Our clients can avail from us a range of Filter Pads that is offered in varied sizes, shapes and thickness. 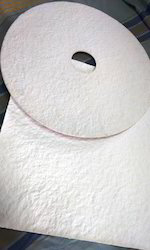 We are among the distinguished manufacturers, suppliers and traders in the industry, bringing forth Cellulose Filter Pad for our esteemed customers. Extensively used in pharmaceutical and liquor industries, these filter pads effectively filter the subjected liquids of unwanted impurities. Owing to their high wear and tear resistance, these pads are highly regarded in the industry. These are available in different sizes and shapes. Filter Pads No: - "11"
We are among the pioneers in the industry, engaged in offering Filter Pads to our revered customers. The offered pads are manufactured using premium quality materials and cutting edge technology. 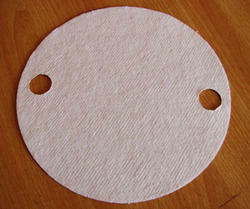 Several liquid products like ink, transformer oils and water gripe can be effectively filtered using these filter pads. Customers can avail these pads in several specifications, depending upon their requirements. These are available with us in various sizes as per the exact demands of clients. Application: Filtration of transformer oil, gripe water, ink etc. Filter Pads No:- "SRS CY"
Backed by our rich industry experience, we make available Industrial Filter Pads to our treasured customers. The offered filter pads find application in breweries for the purification of beer and other kinds of alcohol. We make these pads available in several shapes and sizes in order to fulfill the exact requirements of the customers. Manufactured using optimum quality materials, these filter pads are in strict compliance with the prevailing quality and safety standards. Application: Fine filtration of beer; widely used in breweries. 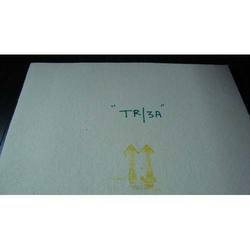 Filter Pads No: - "TR/3A"
We are among the acclaimed names in the industry, making available Thin Filter Pad to our valuable customers. These pads have been manufactured in strict compliance with the prevailing industry standards, using high grade materials and sophisticated technology. The offered pads are applicable in the purification of liquor and pharmaceutical products and can be availed by the customers in multiple specifications that suit their needs. These pads are available in different sizes and shapes. Use: Filtration of country liquor, pharmaceutical. 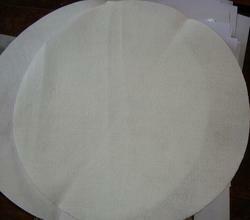 We are engaged in offering of Filter Pads. These pads are made from high grade materials which are obtained by us from established vendors. We make these pads available in several shapes and sizes in order to fulfill the exact requirements of the customers. Filter Pads No: - "11/TN"
We are among the distinguished manufacturers, suppliers and traders in the industry, bringing forth Pharma Filter Pad for our esteemed customers. Extensively used in pharmaceutical industries, these filter pads effectively filter the subjected liquids of unwanted impurities. Owing to their high wear and tear resistance, these pads are highly regarded in the industry. These are available in different sizes and shapes. We are among the prominent manufacturers, exporters and suppliers of SRS Filter Pads in the industry. 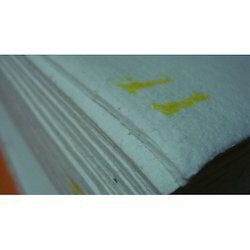 These pads are extensively utilized for filtering gripe water, transformer oil and ink. Characterized by high tearing strength, these pads are highly appreciated by the customers. 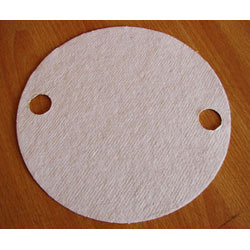 Our clients can avail from us these Filter Pads in various sizes & shapes. Filter Pads No: - "SRS"
Looking for Filter Pads ?